La Barde, France — This is our second-to-last day in southwestern France on this research expedition. Macy Conrad (’18), Paul Taylor (Natural History Museum, London) and I are continuing our study of sclerobionts on Upper Cretaceous (Campanian) oysters. I know the images of us facing into yet another set of white rocks are getting dull, so we’ll get the field shots out of the way first! 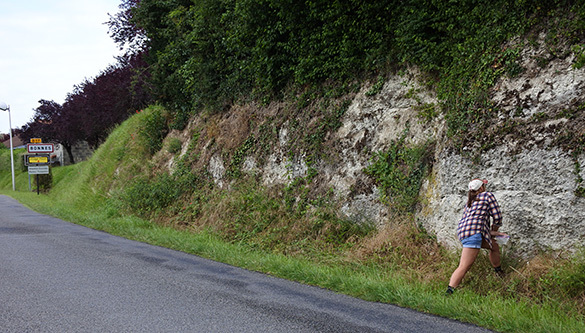 Above, Macy is looking at the Barbezieux Formation just outside the village of Bonnes, a locality new to us on this trip. 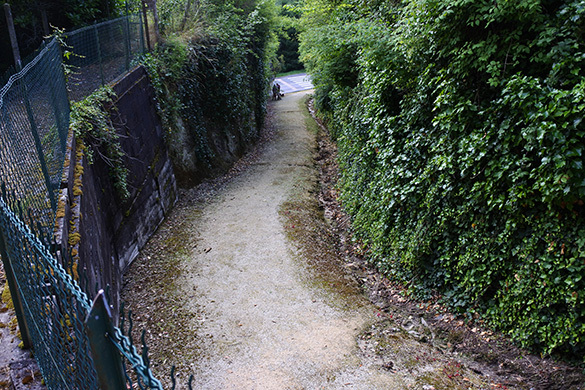 Our second stop was one we visited last week: the Barbezieux Formation exposed in a narrow lane (“Chemin”) in Aubeterre. Another successful day with the Cretaceous oysters and their associates. We visited two notable churches during our journey today. 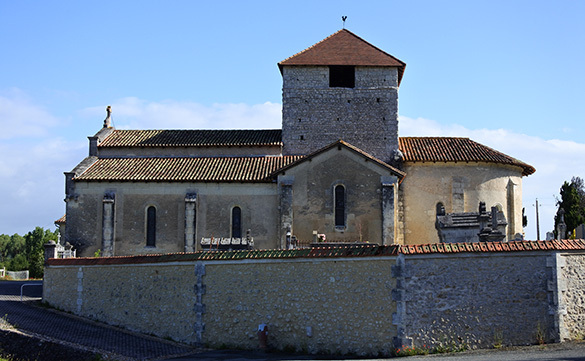 This one in St. Aulaye is notable for its very old tower and preserved Romanesque facade. 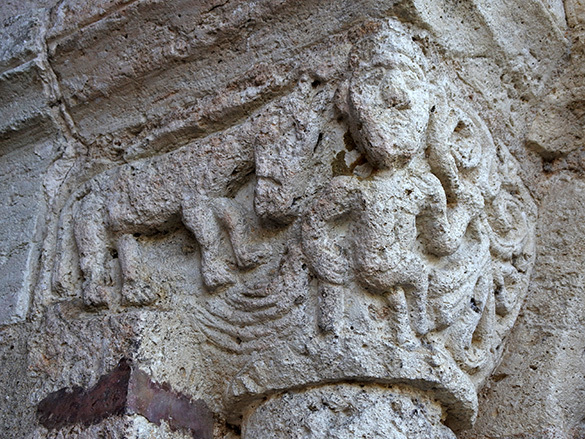 The Medieval carvings around the entrance are delightful. This is a man and what is apparently his donkey. 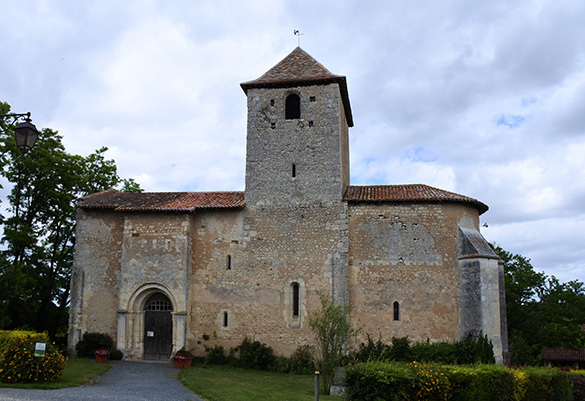 The second church we visited as in Bourg-du-Bost. This is a Thirteenth-Century building mostly intact. The interior is richly decorated, and had automated organ music playing as we entered. The lights also switched on and off in a pattern I didn’t catch. 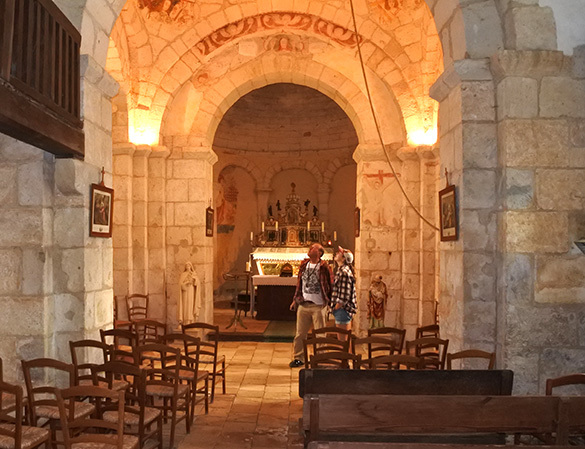 This church is known for its 13th century frescoes still mostly in place with their original colors. 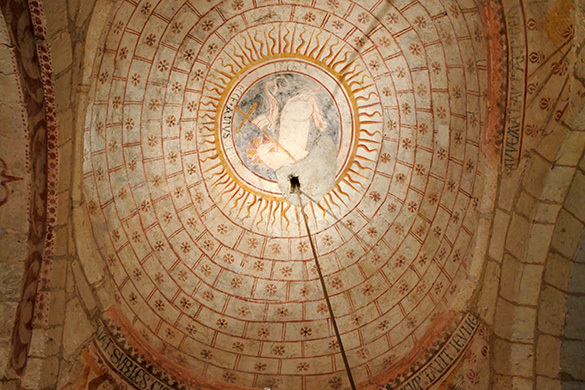 The ceiling of the sanctuary is magnificent. 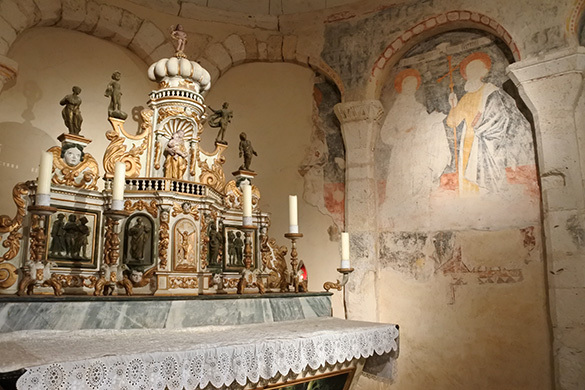 Much attention was given over the centuries to detailed ornamentation and preservation in this relatively small country church. It survived countless wars in this region, including the most devastating ones of the 20th century.